My story, Not Alone in the Dark, is included in the charity collection, Kizuna – Fiction for Japan, available for the Kindle! You can download it from Amazon US or Amazon UK. This is a charity project benefiting orphanages in one of the regions badly affected by the terrible earthquake and tsunami that hit Japan earlier this year. The editor is the tireless Brent Millis, who has put together a huge number of 1,000-word stories from over seventy writers, including the legendary Michael Moorcock. The collection itself is multi-genre and contains a huge variety of international writers. A print version is also available on Amazon and Smashwords, and if you buy from the latter more of the cover price will go to the kids. 100% of the proceeds Brent takes are sent to Smile Kids Japan, a charity working directly with children living in orphanages in the Tohoku region. 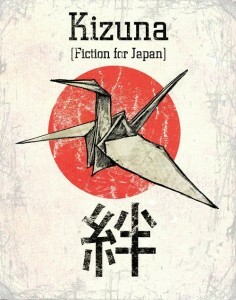 Check Kizuna’s website for the latest information.